Mark Matousek / Business InsiderThe Ark at JFK was nearly empty when I visited in early February. 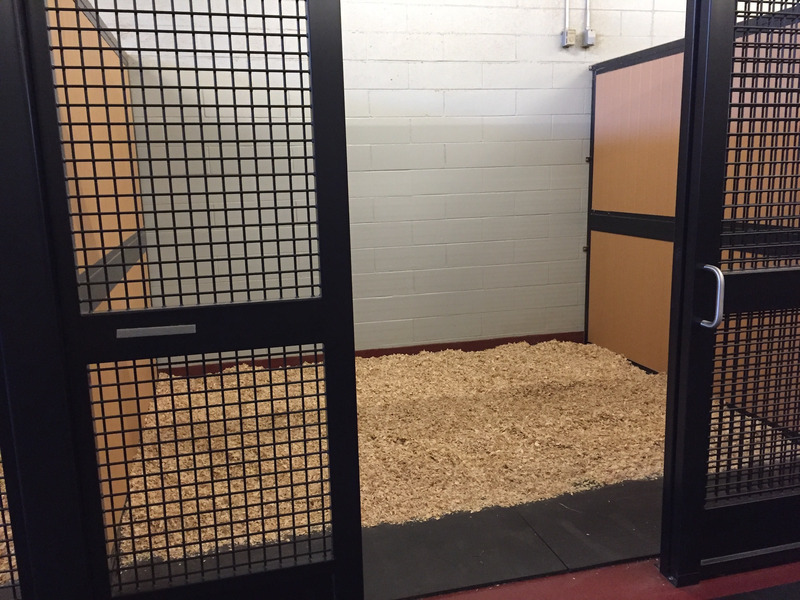 The Ark at JFK is an animal care facility designed for animals travelling in or out of John F. Kennedy International Airport. But the Ark is seeing just 10% of the business owner John J. Cuticelli Jr. expected. He filed a lawsuit against the Port Authority, which operates JFK Airport and issued the Ark’s lease, claiming the agency isn’t enforcing the Ark’s “exclusive right to provide specified animal handling services” at the airport. John J. Cuticelli Jr. is paying $US200,000 of his own money each month to keep open a business that sees just one-tenth of the customers he expected when it opened in January 2017. His employees are restless. “Those people come to work saying, ‘We don’t know if we’re going to have a job.’ And the only reason they have a job is because I continue to put money into this thing. But how long can anyone human being do that?” he said in an interview with Business Insider. 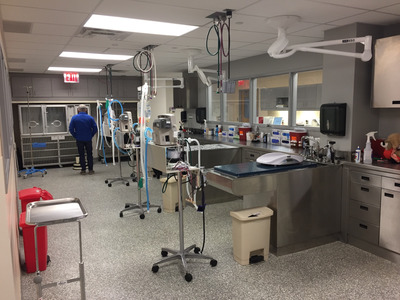 Cuticelli owns the Ark at JFK, which was designed to provide medical, quarantine, and general care services for animals coming in or out of John F. Kennedy International Airport, as well as boarding services for animals whose owners were travelling without them. The facility opened on a limited basis in January 2017 and planned to expand its suite of services over the course of its first year. 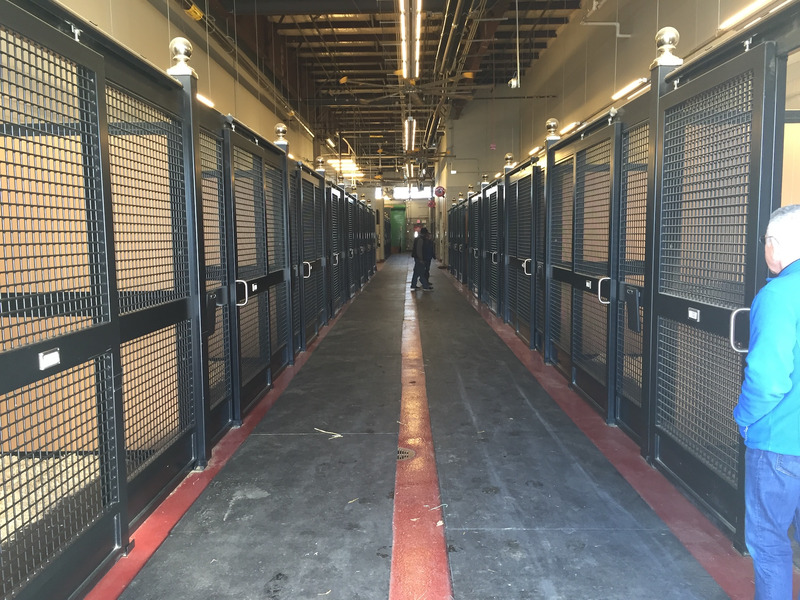 According to the lawsuit, the pet terminal cost $US65 million to build. Mark Matousek / Business InsiderThe Ark at JFK. But that expansion has stalled, as Cuticelli said the Ark sees around ten of the 100 animals it expected per week. The lawsuit filed by Cuticelli against the Port Authority in December claims that this is because the agency, which operates JFK Airport and issued the Ark’s lease, isn’t living up to its promise to give the Ark “the exclusive right to provide specified animal handling services” at the airport. “How could you enter into a legal, written document and ignore it?” Cuticelli said. Mark Matousek / Business InsiderThe Ark has 23 stalls in its Equine and Livestock Export Center. Six were occupied when I visited in early February. 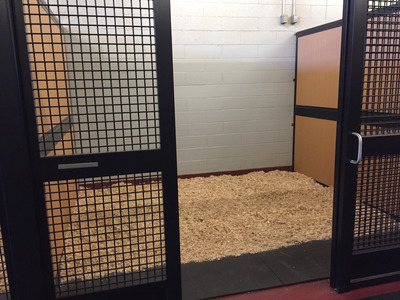 The lawsuit alleges that the Ark’s lease gave it the exclusive right to perform certain services for animals arriving at or leaving from JFK Airport, including the legally-mandated, three-day quarantine horses must receive when they arrive from overseas. 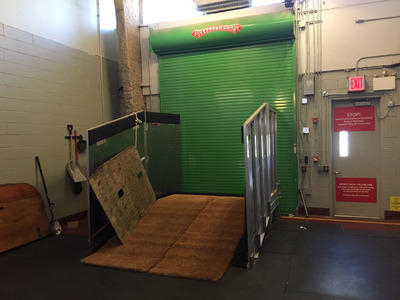 But a section of the lease reviewed by Business Insider notes that the facility doesn’t have the exclsuive right to “the cargo handling or Baggage Handling of animals,” which means that animals could potentially be transported from JFK Airport to another animal care facility without violating the Ark’s lease. Quarantine services for race and show horses were supposed to be the most lucrative part of the Ark’s business, but Cuticelli said horses arriving at JFK are often taken to a competing facility instead. Mark Matousek / Business InsiderAn empty stall in the Ark’s Equine and Livestock Export Center. “5,000 horses come into JFK a year, and I only received 40? I watch 90 horses a week go by my front door,” Cuticelli said. 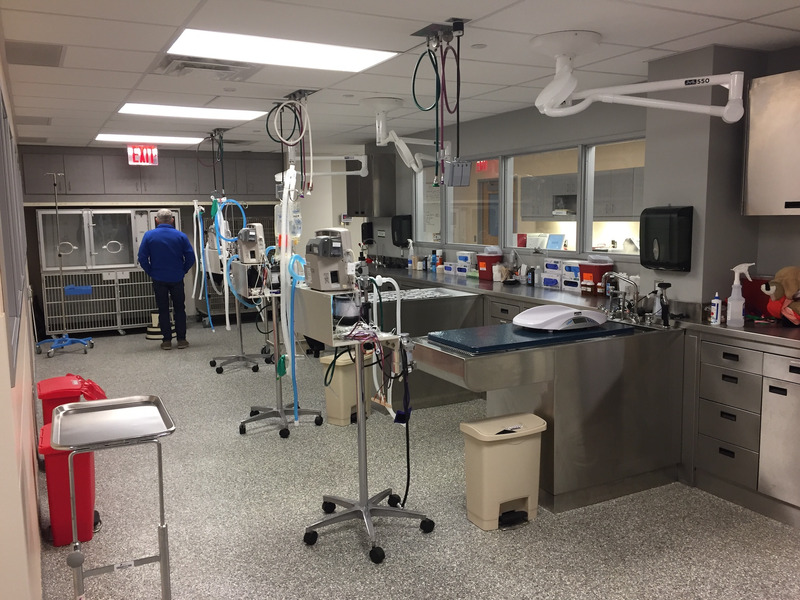 The competing facility, the New York Animal Import Center at Stewart International Airport in Newburgh, NY, is about a two-hour drive from JFK. 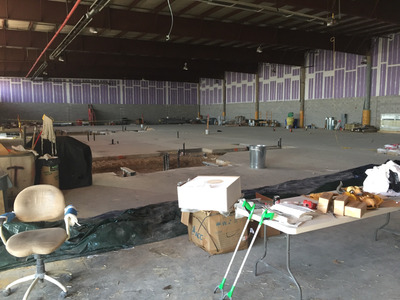 The facility is run by the United States Department of Agriculture, which consulted and met with Ark representatives during the Ark’s development and construction. 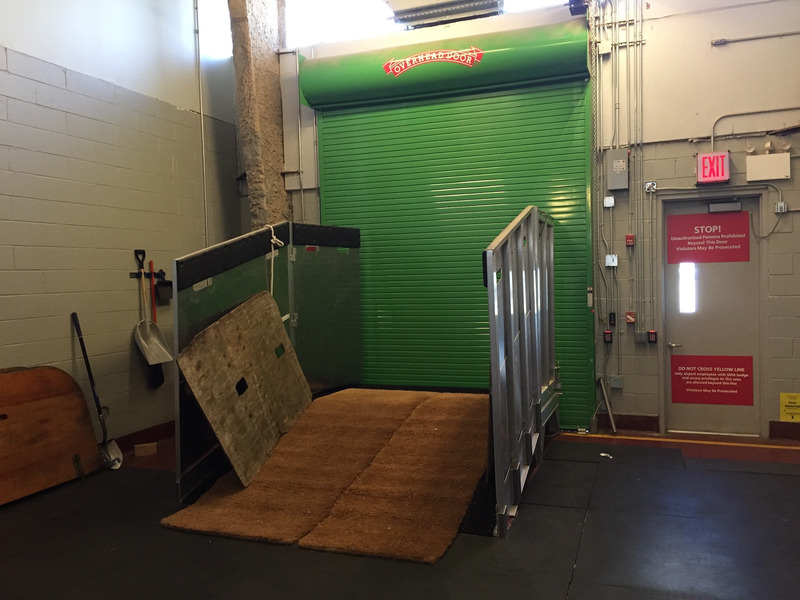 Mark Matousek / Business InsiderWhen this door is opened, horses can be loaded directly onto aeroplanes. But the lawsuit says that the USDA filed a Freedom of Information Online Request with the Port Authority in January 2015 and received a copy of the Ark’s lease, which was signed in December 2014. Eight months later, the UDSA signed a 20-year lease to continue operating its competing facility in Newburgh. Cuticelli has tried to figure out what’s happening behind the scenes, but he said the Port Authority doesn’t respond to his questions. 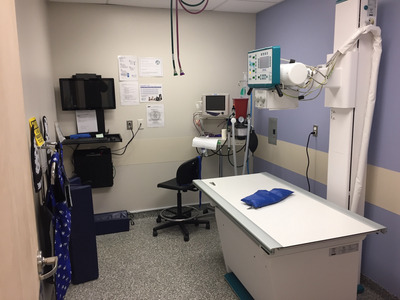 Mark Matousek / Business InsiderPart of the Ark’s medical facilities. 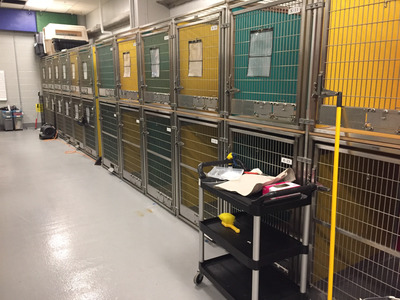 He said he has called, emailed, and visited the Port Authority’s offices multiple times, but has yet to receive an explanation as to why the agency hasn’t encouraged animal owners to use his facility. “The problem here is that you’re fighting an enemy you can’t see, and one with no urgency,” he said. Mark Matousek / Business InsiderAn exam room. 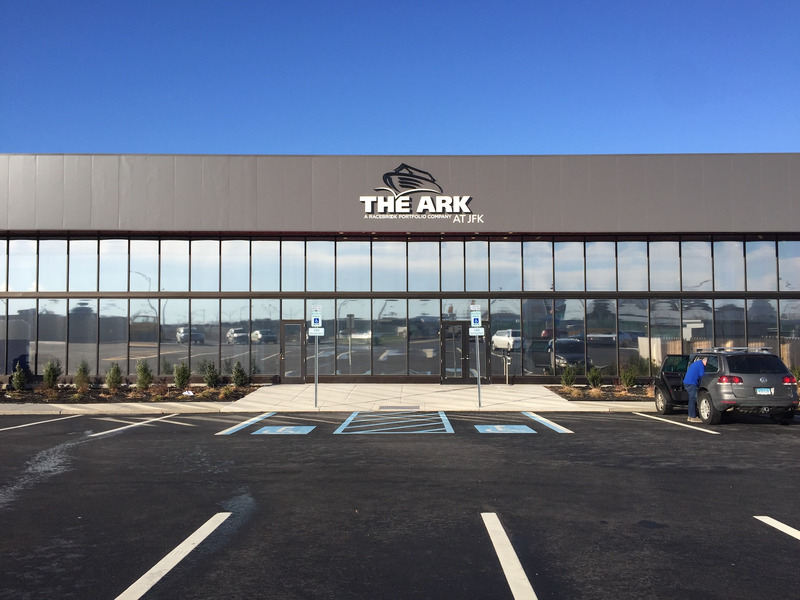 The Ark isn’t making enough money to stay open under normal circumstances, but there are a few reasons that would make it difficult to shut down. First, the Ark would be violating its lease. 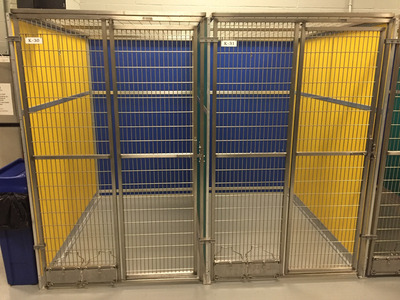 Mark Matousek / Business InsiderThe Ark has 47 dog kennels and 12 cat kennels in its Pet Oasis. All of them were empty when I visited. 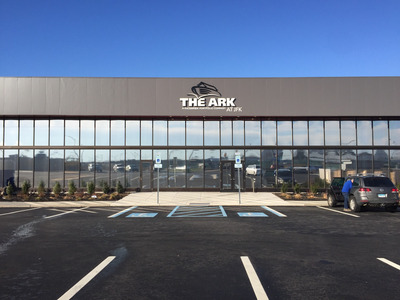 A section of the Ark’s lease reviewed by Business Insider appears to require it to provide certain services – like medical care, boarding, and quarantine – for the duration of the lease. So Cuticelli’s case against the Port Authority could weaken if the business closes and potentially violates the lease. Cuticelli also doesn’t want to put his employees out of a job. Mark Matousek / Business InsiderAn empty kennel in the Pet Oasis. While he said that at least one employee admitted to being embarrassed by the lack of animals the Ark cares for, another indicated that closing the business could result in financial instability that would be difficult for the employee’s family to manage. For now, Cuticelli will wait and hope for an intervention. Mark Matousek / Business InsiderThis was supposed to be the site for a 20,000 square-foot animal resort, but it was never completed due to financial issues.